If you're addicted to tinkering, to the point where even your tools are fair game, you might want to consider Ingersoll Rand when shopping for a cordless drill. 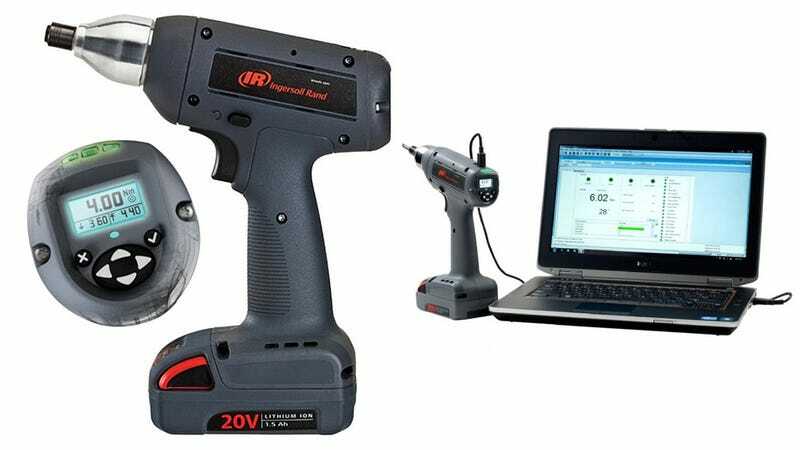 The company's awfully-named QXX2PT08PQ4 QX Series precision screwdriver can actually be programmed via a USB connection to your computer, letting you create custom speed and torque profiles for different tasks. And if a computer isn't readily available, a small display, a four-way controller, and a set of buttons on the back let you tweak the screwdriver's settings so you're not accidentally burying screws into lumber. Surprisingly, the QXX2PT08PQ4 has adjustable speeds of up to 1,500 RPM, fast enough to drill through wood.